This is what happens when a couple inches of snow and a light glazing of ice falls upon a large, southeastern United States metropolis. Atlanta, GA received just that sort of mix resulting in a state of emergency as our nation's southern cities are not even remotely prepared as we are here in Minnesota and other northern cities. 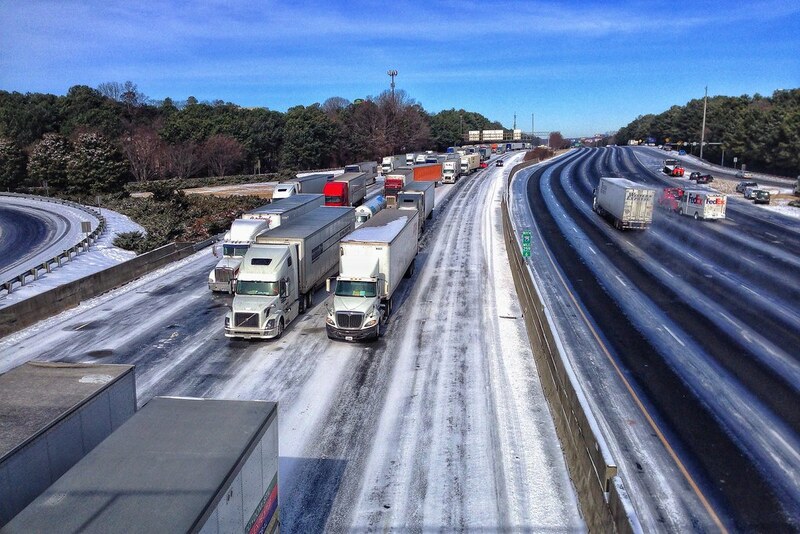 The photo above shows the city's Interstate 75 with parked semis which simply gave up in the stalled traffic and stayed parked through the night.